George E. Holmes | HOPE Global Forums | Presented by Operation HOPE, Inc.
Having served and assisted three consecutive United States Presidents: President Bill J. Clinton; President George W. Bush and President Barack H. Obama and their White House Administrations both Democrats and Republicans and five consecutive District of Columbia Mayors, Rev. Dr. George Edward Holmes was bestowed the Presidential Lifetime Achievement Award by President Barack H. Obama for his lifelong commitment in building a stronger nation. Rev. Dr. Holmes is the first member of Clergy to be officially trained by Members of the United States Congress in a special Congressional Political, Education and Leadership Training Institute, having the distinct honor of being selected by United States Congresswoman Eleanor Holmes Norton. Rev. Dr. Holmes was conferred by the United States House of Representatives, the Certificate of Special Congressional Recognition for Outstanding and Invaluable Service to the Community for his exceptional leadership. Rev. Dr. Holmes has organized and facilitated thousands of Interfaith, Community, Business and Corporate Leaders to interface or set public policies with the President of the United States, the Vice President, the White House Cabinet, the Majority Whip, the United States Congress, Governors, State Senators, Mayors, City Councilmembers, Government Officials, Dignitaries and Celebrities. Rev. Dr. Holmes inspired by his many years of international service, contributed, with many prominent worldwide faith leaders, to the highly acclaimed book, “Mr. President”. 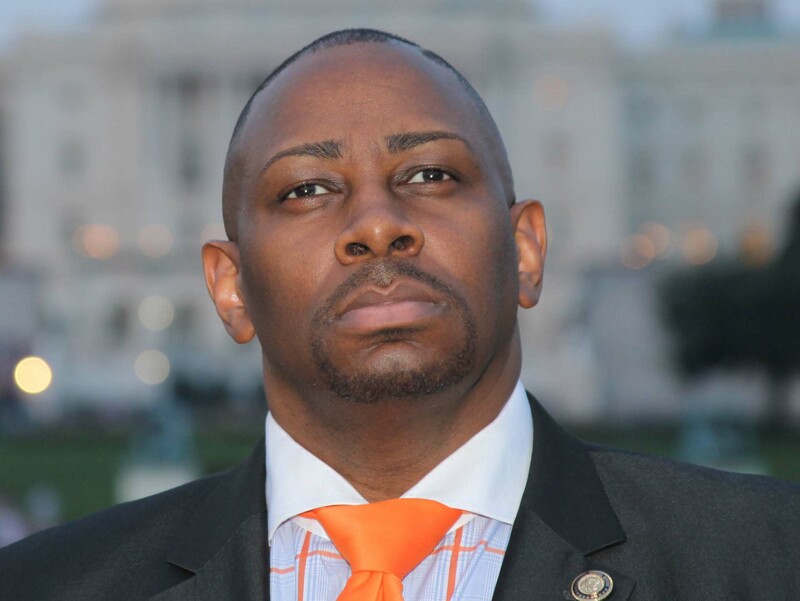 He recently served as a member of the President Obama National Clergy Leadership Group and now serves as a member of the National Clergy Leadership Network and Chaplain and Chair of the Religious Council of the District of Columbia Democratic State Committee. He was globally bestowed in 2017, the Commander of the Royal Order of International Statesman (ROIS) Award, the International Distinguished Leadership Award and the ‘Man of the Year’. Rev. Dr. George E. Holmes is a frequent guest of the President of the United States and the Senior Administration pertaining to White House Briefings, Weekly White House Stakeholders Policy Meetings, White House Leadership Conferences, White House Big Table Roundtable on State and Local Government Relations, Presidential Historic Signings (e.g., the Reauthorization of the Voting Rights Act of 1965 and the Affordable Health Care Reform Bill), White House Advisory Councils, White House Faith Based Summits, White House Council of Economic Advisors and the President and First Lady Arrival Ceremonies welcoming Foreign Dignitaries and Diplomats. He is an Advisory Board Member of the World Chamber of Commerce. Rev. Dr. Holmes worked with President George W. Bush to orchestrate meetings with survivors of Hurricane Katrina. Rev. Dr. Holmes was strategic in the vetting of the Houses of Worship for President Obama and the First Family. Appearing on National and Local Television, e.g., CSPAN, BET, CNN, Syndicated Radio Networks and in Newspapers, Rev. Dr. Holmes has been recognized in many national publications including Ebony Magazine as, “One of America’s 30 Young Leaders of the Future,” Jet Magazine as an “Outstanding Elected Leader,” Who’s Who National Publication, Sister 2 Sister Magazine and Time Magazine where he served as a Chaplain at the Pentagon following 9-11 which was televised and photographed, as President Bush addressed the United States and the World.